Where Hollywood history meets coastal character. 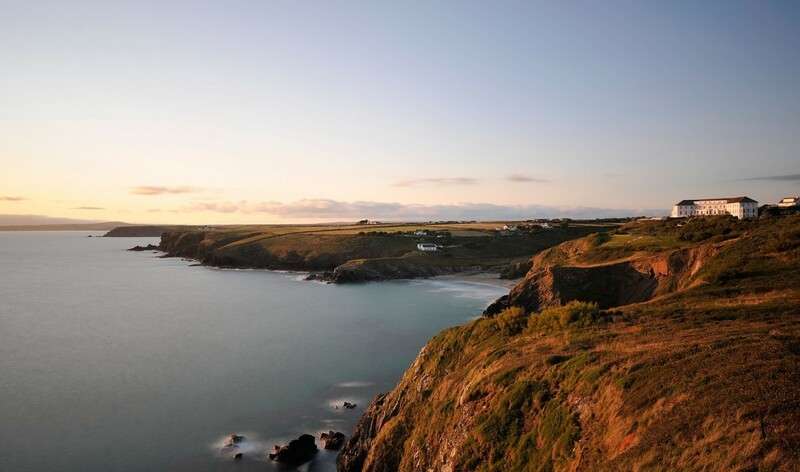 The Polurrian has welcomed visitors to the Lizard Peninsula for over a century, with figures including Marconi, Winston Churchill and Clark Gable taking advantage of its unrivalled location. Originally built in 1890, the Polurrian was a fashionable railway hotel appealing to distinguished guests. In 1901, Guglielmo Marconi stayed here while sending the first ever transatlantic radio messages from nearby Poldhu Cove. In 1909, a fire devastated the original hotel, destroying everything but the terraces and steps near the tennis courts (which you can still see today). Soon after, a new hotel was built and Polurrian became a hive of activity once again. During the Second World War, the hotel was an officers’ mess for nearby RAF Predannack, and in 1953, Hollywood stars Clark Gable and Gene Tierney stayed while filming the romance adventure Never Let Me Go. Every bit as welcoming now as it was then, the modern-day Polurrian on the Lizard remains a fashionable escape from the everyday. We've recently shaken things up with an exciting refurbishment, creating an experience that's every bit as inspiring as the landscape surrounding us. While service is our top priority, you'll find life here is refreshingly relaxed. There's the space and freedom to do things just as you like, whether that's playing a game of tennis, indulging in a treatment or enjoying a quiet moment in the gardens. After a busy day, wind down with wood-fired food in the restaurant, or sip a cocktail with a Cornish twist. The Cornish coast was made for exploring: search rockpools at Polurrian Cove, splash in the surf, or spot seals from a kayak. Unforgettable family holidays are right on our doorstep. We know that some holidays aren’t complete without your pets, which is why we welcome well-behaved dogs around the hotel.